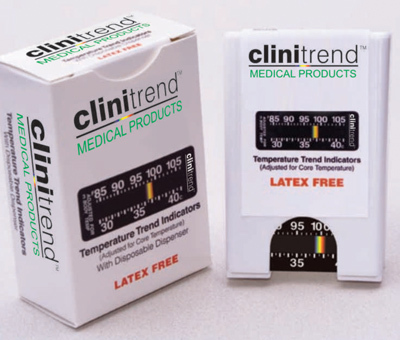 Clinitrend products utilise Liquid Crystal technology for the measurement of clinical temperature trends in the healthcare environment. Clinitrend has been studied and well documented to show that it is comparable to oesophageal probes and has continued to prove reliably effective to monitor the core body temperature of anaesthetised patients. 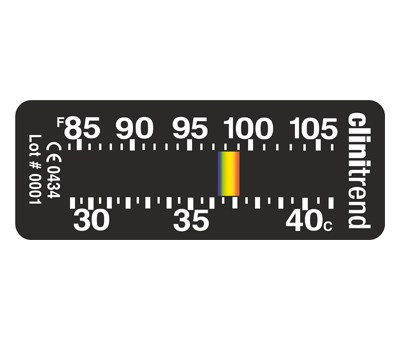 Clinitrend products feature a continuous display of core-adjusted temperature as indicated by a bright line, which continuously moves across the temperature range. Readings are made at the centre of the line. 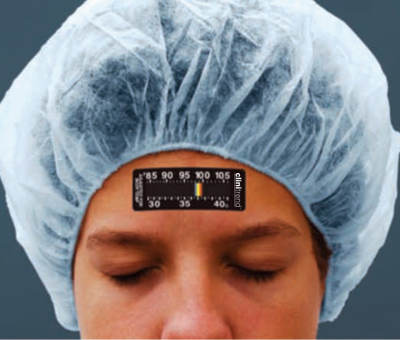 The Clinitrend technology has been well studied and well documented to reliably reflect core body temperature of anaesthetised patients. References are available upon request.